Mike’s favorite | And sometimes I cook. Cook on high for seven hours. Serve with rice and cornbread. Delicious! Filed under Comfort Food, Crockpot, Kid friendly, Mike's favorite, No oven necessary. 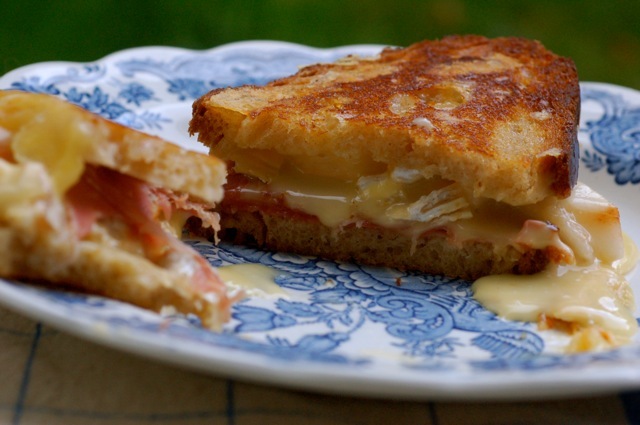 I’ve also seen a similar recipe that used blue cheese in place of the Brie. So do what suits you! 1. Line an 8″ square pan with foil. Set aside. 2. Microwave the ingredients for the dark chocolate layer for 30 seconds. Stir and then microwave for another 30 seconds. Repeat until smooth. Spread over foil-lined pan. 3. In another dish, microwave the white chocolate ingredients in the same way, only stop every 20 seconds instead. (White chocolate tends to scorch.) Spread over dark chocolate layer. 4. While fudge is still warm, carefully score into 1″ pieces with a knife. Press a conversation heart or M&M onto each scored square. 5. Refrigerate at least 2 hours or until firm. 6. Carefully lift out the block of fudge and peel off the foil. Cut onto the scored lines. 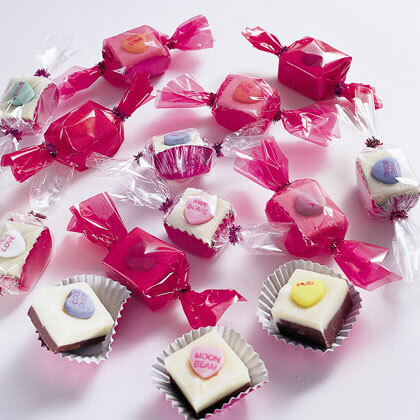 Place each square of fudge in a mini muffin cup or wrap in colored cellophane with twist ties or pipe cleaners at the ends. Filed under Candy, Chocolate, Christmas, Cooking with Kids, Dessert, Mike's favorite, No oven necessary. Remember the other day when I said I draw the line at cooking with cream of mushroom soup? Well, not in this recipe. For whatever reason, it just isn’t Thanksgiving-Christmas-Easter without it. 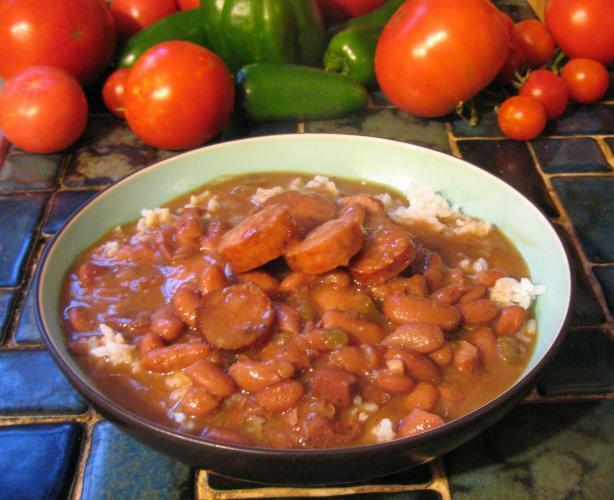 MIX soup, milk, soy sauce, pepper, beans and 2/3 can onions in a 1 1/2 quart casserole. STIR and sprinkle with remaining onions. Bake 5 minutes. Some tips: If you’re going to do it wrong (making & eating this unhealthy monstrosity), do it right. Don’t make it soupy! 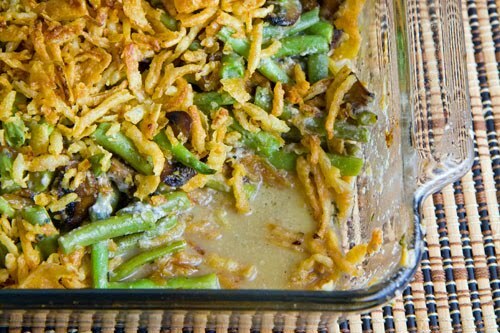 And for goodness sake, please cover the entire casserole with the French fried onions and not just the edges. 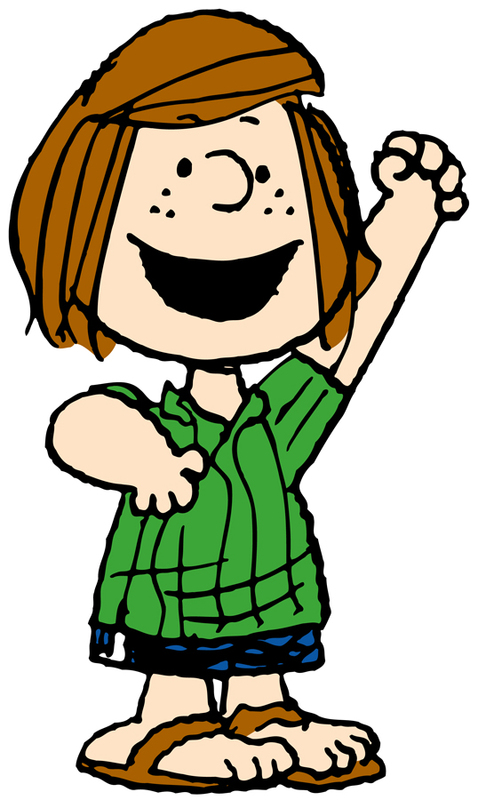 I couldn't find an image of this recipe, so please enjoy this picture of Peppermint Patty instead. 1. Heat oven to 350. In a large bowl, stir cookie mix, butter, egg and water. Spread half of the batter in ungreased 8″ square pan. Sprinkle evenly with 1/4 cup of the crushed candies. Drop dollops of remaining batter over candies. 2. Bake 20 to 25 minutes or just until set. Cool completely in pan on cooling rack. 3. In small bowl, stir frosting and remaining 1/4 cup crushed candies. Frost bars. If desired, sprinkle with additional crushed peppermint candies. Cut into 4 rows by 4 rows. I believe this is the final recipe from my “John & Caryn” collection. 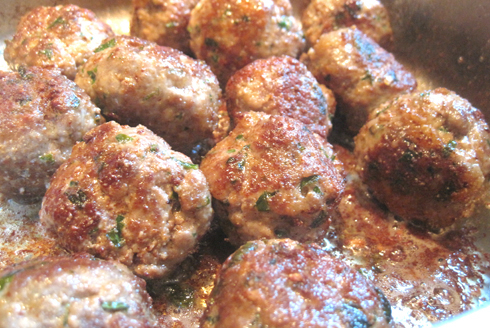 Heat 1 cup olive oil in a skillet and fry the meatballs in batches. When very brown and slightly crispy, remove from heat to paper towels. If they fall apart when cooking, cover. Cook fried meatballs in tomato sauce 15 minutes. Be sure to place the pizza stone in the oven at least 1/2 hour ahead of time to make sure it gets good and hot. 475 for wheat dough or 450 for white dough. Now that you’re ready, roll pizza dough (such as Trader Joe’s) on a clean countertop into a circle. Use lots of cornmeal. 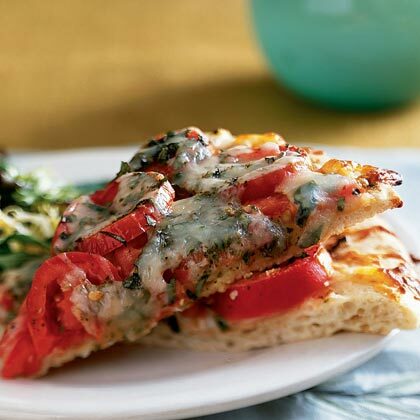 John’s tip: Think of the cornmeal as ball bearings so the pizza slides easily on and off the pizza paddle. Quickly top that baby with sauce, cheese, & whatever toppings keep you happy. Keeping with the cornmeal/ball bearings rule, slide the pizza on a pizza paddle and then slide it on the hot stone. Remember: the oven isn’t cooking your delicious dinner–that burning hot hunk of pizza stone is.